The latest Pokemon TCG set is upon us with the release of Ultra Prism. The set re-introduces the Lost Zone game mechanic alongside Prism Star cards. Prism Star cards are cards that you only can have one of each card with that name in your deck. If the card were to go into the discard pile, it goes into the Lost Zone instead. For players who didn’t play the last time there were cards that interacted with the Lost Zone, the Lost Zone is essentially a second discard pile that cards can go into which they can’t be recovered (thus lost from the game). I’m pretty excited for the return of the Lost Zone as it gives the game designers some additional design space for cards and could help make the game even more skill based. For this review, I will be using a 10 point rating system in which I hand out an arbitrary rating out of 10 total available points. The previous rating scale was fairly restrictive, and I think failed to give accurate representations in some cases about what I truly felt about a card, so hopefully an arbitrary system will help with that some. Torterra is somewhat noteworthy for its high HP at 180 HP and its Earthquake attack, which does 180 damage, a big amount of damage for a non-GX Pokemon. Being able to hit for that much damage and only giving up one prize is very strong. Unfortunately, it’s unlikely that you ever get four Energy on it. Vikavolt SUM and Venusaur SGL are two options that can help you get there, but both are Stage 2 Pokemon and you would be required to play a dual Stage 2 deck to try to get it to work. Ultimately, Torterra is a bulk card as easier to setup cards such as Tapu Bulu GX, which hits for the same damage amount, for less Energy and as a Basic Pokemon is much easier to build decks with than a Stage 2 Pokemon. Weakness has always been one of the best ways to counter a specific deck, so being able to remove Weakness as a factor in matchups has the potential to really strengthen up what could otherwise be a weak matchup. As a Stage 1 Pokemon, it’s not going to be very space intensive or very difficult to setup, so I definitely can see Cherrim finding its way into future Grass archetypes as a tech to help deal with Fire decks. Leafeon GX’s Grand Bloom GX attack has the potential to be one of the strongest setup attacks in the game. With Eevee SUM and its Energy Evolution Ability, you can evolve into Leafeon GX on your first turn of the game and then use Grand Bloom GX to evolve all of the Basic pre-evolutions that you have in play into their Stage 1 counterparts. As an attacker, Leafeaon GX is solid. Solar Beam does 110 damage, which when paired with Choice Band will let Leafeon GX 2HKO most Pokemon. With its Breath of the Leaves Ability, it can heal itself of 50 damage, which has the potential to help Leafeon pull ahead against other decks that rely on multi-hit knockouts. It can even completely erase something like a Buzzwole GX’s Jet Punch damage depending on how many damage modifiers the Buzzwole player got on it. It can also be used to heal Pokemon on your bench, but since they need an Energy attached, this is a little more situational of a use. I think the first deck that Leafeon GX will start seeing play in is a Leafeon GX/Decidueye GX deck. Grand Bloom GX can help get you into a lot of Decidueye GX’s very quickly, Breath of the Leaves can help extend the game and thus get you more turns to use Feather Arrow, and then Solar Beam has good damage output to be paired with Feather Arrows. Another option could be to use the Lurantis promo that boosts Grass attacks by 20 damage and just try to do as much damage with Leafeon GX as possible. If you got three Lurantis into play, you could be hitting for 200 damage with a Choice Band. Decidueye GX’s would definitely be better when setup as you could avoid overkilling stuff and being more efficient with your damage output, but Lurantis is only a Stage 1 which would give you essentially four extra deck slots to play with in such a deck. This is the first of a set of Rotom cards that are in the set that all come with this Roto Motor Ability, which lets them attack for free when there are 9 or more Pokemon Tool cards in the discard pile. These are going to be very limited in the types of decks that they’re played in, as many decks don’t even run 9 Pokemon Tool cards, so you have to go out of your way to even build a deck that can make use of that Ability. Ignoring the Ability, most of these cards aren’t really worth playing. Even with the Ability, Mow Rotom is pretty underpowered. Removing a Special Energy is a solid effect, but 60 damage will rarely be significant enough to matter. Shaymin could be played for its Coax attack, which lets you search your deck for up to three Basic Pokemon of different types. There aren’t really many decks that typically play a ton of different types that would want a setup like this, and then even if you do, using cards like Brigette or Nest Ball will typically be more efficient ways of getting that setup. Depending on what gets printed in the upcoming sets, we could be looking at using setup attacks in a future Ultra Prism-on format, but most likely there will continue to be Item and Supporter cards for setup, or superior Pokemon options that this Shaymin doesn’t end up seeing play. This Araquanid is an alternate type reprint of the Araquanid from Sun and Moon. The card was originally printed as a Water type. We actually saw the Water type Araquanid see some pretty big tournament success with Grant Manley finishing 2nd place at the Roanoke Regional Championship with it in his Quad Wobbuffet deck. He used it in that deck as a counter to Volcanion EX. Right now this type of Ability is pretty poor, as almost any Fire deck plays Tapu Lele GX, giving them a non-Fire attacker to get around it. However, after Tapu Lele GX rotates, Araquanid’s Ability does have potential to be meaningful in matchups against future Fire decks. I think Magmortar could be worth a look in the Expanded format as you can power it up in one turn with Blacksmith in that format. With a Choice Band, you could be hitting 190 damage with it, which is pretty strong for a non-GX Pokemon. It’s Incandescent Body Ability also should provide solid damage output with the new and improved Burn Special Condition. This should help give Magmortar a little bit more reach against 200+ HP Pokemon that your opponent needs to attack into Magmortar with. I think that Magmortar is unlikely to be good enough to see competitive play though. As it’s a Stage 1 Pokemon, it’s much more difficult to build Blacksmith engine around it than other past Blacksmith decks, such as Entei, Volcanion, or Turtonator. The only Stage 1 reference for Blacksmith is Flareon, which wasn’t even reliant on Blacksmith and also only attacked for two Energy. With the three Energy cost, it seems likely that you would also whiff the third Energy that you need to power it up, making it way too inconsistent of a card. The Flaming Fighter Ability is very strong and I think it should find its way into some archetype at some point. I don’t think its Burst Punch is powerful enough by itself, and at [R][C] it’s also difficult to power up. With that said, I still think Flaming Fighter should find it’s way into a deck as a bench sitting Ability alongside something that can burn the defending Pokemon with either an attack or Ability. 6 damage counters in between turns is a pretty big damage boost, so if there is a Basic or Stage 1 Pokemon with a decent attack that Burns, Infernape should be a good partner. Once again, this Rotom’s attack is underwhelming, but the 80 damage is much better than Mow Rotom’s 60 damage as it can be used with Choice Band to OHKO a lot of the Fire weak GX and EX Pokemon. However, 80 damage still isn’t that good and falls short of knocking out Pokemon like Solgaleo GX, Metagross GX, and Decidueye GX. Salazzle’s Panic Poison is a pretty disruptive attack, nailing the opponent with three Special Conditions. In practice, it does 30 damage with Confusion, however it has the potential to boost that damage output with stuff like Infernape, Virbank City Gym, and Seviper. The Confusion also forces your opponent to find some type of Switching effect or Special Condition removing effect, or else risk losing a turn to a failed Confusion flip. Most likely, even with damage modifiers it won’t do enough damage, and it’s probably just better to play a Stage 1 with solid damage output instead of going for a convoluted setup to get to that damage output. Alolan Sandslash could be an interesting wall to attack with that you use while setting up some other strategy behind it. Its Spike Armor attack is very similar to Turtonator GX’s Shell Trap attack, except that Spike Armor is a free attack, which means you can use Alolan Sandslash for some early game attacking while you build up Energy attachments elsewhere on your field. It’s hard to see where a card like this fits into any current style of deck builds, but some decks in the past, such as early Flareon PLF builds, played all sorts of crazy Pokemon to attack with in the early game, so maybe Alolan Sandslash could find a role in that type of deck, or as a setup attacker in some slow setup deck. Empoleon is going to be a very interesting card and has the potential to be a very powerful non-GX deck. At 160 HP, it’s going to be annoying to knockout, which could allow it to trade well with GX or EX decks that can’t OHKO it, or ones that have difficulty powering up multiple OHKO’s throughout the game. Its Total Command attack is the main attraction, and should at the very least be able to get 2HKO’s just based off your bench, but has the potential to OHKO softer GX’s like Tapu Lele GX in most normal circumstances and it can even knockout some of the bigger GX’s with a Choice Band if players use the typical 4-5 benched Pokemon that they’re used to. In particular, Empoleon should act as a hard counter to Zoroark GX decks, being able to easily OHKO them, while they struggle to come up with a good way to respond to it. It even received a nice Lightning Weakness instead of Grass Weakness like Empoleon BKT had, so it won’t even be able to be easily countered by Golisopod GX. The attack cost of [W][C] will add some inconsistency to it, but with Aqua Patch it shouldn’t be too tough to setup. It can also play Counter Energy as an option to power it up in a single attachment. Counter Energy should be solid with it, as with it being a Stage 2 deck, it should probably fall behind a prize or two early in most matchups. Whirlpool isn’t an amazing attack, but I could see it being used every now and then. It could come in clutch in some situations, especially when paired with a late game N.
There is an Empoleon BREAK that this could be used with, but that won’t be worth the deck space. It only gives a +10 HP boost, and its attack is going to be weaker than Total Command in most situations. A one time use Energy acceleration Ability isn’t super strong when you have other Energy acceleration Abilities that can be used turn after turn. Additionally, with Aqua Patch in format, it’s difficult to see Abomasnow seeing any play in the near future as there is a clearly superior form of Water acceleration in format. There could be some room for some very niche play after Aqua Patch rotates as there may be a Water deck that needs some form of acceleration to work. Glaceon GX is a close sibling to Umbreon GX. Its Frost Bullet attack is a reprint of Umbreon GX’s Shadow Bullet (and Darkrai EX’s Night Spear before them) and gives a classic 90 + 30 damage attack. This attack is pretty solid in almost any format as with a Choice Band you’re going to be able to 2HKO pretty much any EX or GX Pokemon, and the snipe damage also can help for making sure you are hitting your knockout numbers. Frost Bullet is also solid against evolution decks. If your opponent fails to evolve a 60 HP pre-evolution that you sniped with it the previous turn, you can take an extra prize off the snipe damage. The snipe damage can also be used to setup knockout math for an alternate attacker that is able to swing for some higher numbers. Polar Spear GX also combos really well with the snipe damage. Based off a single snipe of 30, you would be doing 150 damage. 150 + 30 = 180 damage, so with a Choice Band you have an effective reach for getting knockouts against 210 HP Pokemon with Polar Spear GX. You can also play Po Town to get damage counters on your opponent’s Pokemon to boost the damage output of your Polar Spear GX’s. What sets Glaceon GX apart from Umbreon GX is its Freezing Mane Ability, which shuts off the Abilities of EX and GX Pokemon. This is very strong in a lot of situations in our current formats. A lot of deck engines are built on using Tapu Lele GX’s Wonder Tag for a Brigette on the first turn of the game, so if you shut that play off with Glaceon GX you can really set back your opponent’s setup. Glaceon GX is also pretty solid against decks reliant on Zoroark GX for their draw engine as they can’t use Trade. Of course it can be very strong against non-setup or draw Abilities as well, such as Decidueye GX’s Feather Arrow. The big struggle I see for Glaceon GX is how it is able to deal with big OHKO decks such as Vikavolt/Tapu Bulu GX, Buzzwole GX/Lycanroc GX, and Magnezone/Dusk Mane Necrozma GX. Umbreon GX conveniently was able to play Zoroark BREAK to counter those types of big attacks, and since Glaceon GX runs on Water Energy, Zoroark BREAK probably isn’t a consistent option to try to run alongside it. It could try to use Garbodor BKP to slow down the Ability based decks, but that can be gotten around with Field Blower and wouldn’t be too helpful against Buzzwole. Another option could be to play an aggressive Aqua Patch engine that tries to setup Lapras GX as a backup attacker to swing for OHKO’s in an attempt to keep pace with these OHKO decks. I’m beginning to regret including these Rotom cards in this review. They’re all pretty bad. 50 damage snipe is okay in some very limited situations, and I’m not sure there are too many situations that would come up for whatever deck consistently gets 9 Items in the discard pile for this 50 snipe to matter. We actually have two Water type Rotom in this set, and Frost Rotom seems like it at least has some potential. At the very least Frost Crush should serve as a Volcanion counter for this hypothetical deck that gets 9 Tools in the discard pile (so Gourgeist in Standard or Tool Drop in Expanded….not sure why either would want a Volcanion counter). Against more Energy efficient Water weak decks it doesn’t even act as a proper counter. I think these Pokemon should be reviewed together as a package. Together they combine to make some type of Lightning type Seismitoad EX type card. Shinx is the first part of the combo. If you go second, it allows you to evolve on the first turn of the game, which allows you to get into Luxio for a turn 1 attack. You could potentially get into Luxray with a Wally, but just getting into Luxio is probably enough. The second part of the combo is Luxio with its Disconnect attack, which is the equivalent of Seismitoad EX’s Quaking Punch. With it only costing [C] it should be fairly easy to set this up for a turn 1 attack. Being on a non-EX is pretty solid, but at 80 HP it’s going to be knocked out pretty quickly. There is some precedent for this being workable on a low HP Stage 1 in the past. Zach Zamora had a pretty good stretch with Zebstrika NXD and its Disconnect attack. This format is a little bit different though, as decks tend to play a few less Items and tend to setup a little better under Item Lock. HP is also much higher, so the low damage output doesn’t go as far as it used to. The final piece of the combination is Luxray. Evolving Luxio into Luxray is what I think is a needed step as you gain a lot with Luxray. It has 150 HP, which will make it pretty difficult to knockout, and its Intimidating Fang Ability reduces the opponent’s attacks by 30 damage, which makes it even more difficult to take down. With Shining Celebi, you would be able to attack with Luxio’s Disconnect to maintain the Item Lock. Volt Bolt would also give the deck a more powerful attack to start taking big knockouts. The primary issue I see with the deck in Standard to begin with is a lack of damage output. Seismitoad EX was at it’s best when it had Hypnotoxic Laser and Virbank City Gym to boost its damage output. Without any supplemental damage, I think Disconnect will fall short of the damage output needed for a good deck. Something like Decidueye GX could be used to boost damage output, but that would be a dual Stage 2 deck which is always a sketchy endeavor. There’s a lot to like in the Luxray/Shining Celebi package, but I think the deck is still missing some of the cards it will need to be a competitively viable deck. Pachirisu is a very cool card and its Snuggly Generator attack should help turn Raichu GX into a stronger archetype. The combo is to play the Pikachu from Generations (originally printed in XY) with the Nuzzle attack. If you have a combination of five Pikachu/Pachrisu benched with the Nuzzle attack, you can accelerate up to five Energy in a single Snuggly Generator attack. Raichu GX’s Powerful Spark attack does 20 damage plus 20 more damage for each Lightning Energy, so if you get a couple of these attacks off with a large bench of Nuzzle Pokemon you could get your Powerful Spark attacks up to a pretty significant damage amount. In addition to Pikachu and Pachrisu, there is also a Dedenne and Togedemaru with the Nuzzle attack, although they’re both awful so there’s not reason to play them. This is probably the best Rotom of all the Rotom in this set. At 120 damage, its Plasma Slice should cleanly OHKO most Lightning Weak Pokemon for the hypothetical Tool deck. At 120 damage, you can even start looking at potential OHKO’s out of Plasma Slice when you combo it with cards like Choice Band, Hypnotoxic Laser, Professor Kukui, and Iris. It still probably never sees play because of the weird requirement of Roto Motor that few decks meet, but 120 damage for no Energy is very solid if a deck that fits that criteria does get created. Drifblim reminds me a lot of the Rotom from Fates Collide that was talked about some as a Trevenant BREAK counter, but which never really amounted to living up to that dream. Drifblim is an improved version of that card, moving 4 damage counters off your Pokemon onto the opponent’s Active Pokemon compared to the only 2 damage counters that Rotom did. With a [C][C] cost, Drifblim could realistically be tossed into just about anything as a counter to any Spread decks that come into being. It can also be used as a setup Pokemon in meta games where Po Town is seeing heavy play, as you could evolve your Pokemon and then turn that Po Town damage back on the opponent while healing off your Pokemon that you evolved with Po Town in play. Most likely this doesn’t see play as Spread is very niche right now, but if Spread becomes prominent, this should be an effective counter to those types of decks. Giratina’s Chaotic Star gives it some Energy acceleration, although with Basic Energy counts generally being lower these days in decks, it may be difficult to see hands with the Giratina and two Psychic Energy in it at the same time. As an attacker, Crisis Dive isn’t something you want to be attacking with too often in most Psychic decks, but it could be solid to attack with as a mix up attack.It can do up to 190 damage with a Choice Band. The two Energy discard is harsh, but a new Malamar that accelerates Psychic from the discard pile was just revealed, so it could be paired with either that or Metagross GX to replenish the Energy it discards to keep attacking. It could also be played as an accelerator for other Pokemon, similar to how players used Pachirisu CL in ZPST during the 2011-2012 season. While Shaymin UL is gone, you can still use Multi Switch or Energy Switch to move the Energy off Giratina and onto another Pokemon. Giratina could also be used for acceleration in a Lunala GX deck, as you would be able to move the Energy around with Lunala GX’s Psychic Transfer Ability. Lunala’s Full Moon Star attack is a good acceleration attack. These attacks provide a solid acceleration option for decks as most of the time the opponent is going to be playing with 3-5 benched Pokemon, so being able to accelerate anywhere from 3 to 5 Energy is very strong. This attack is typically good in the mid and late games as at those points in the game you’re more likely to have enough Energy to in the discard to get good results from the attack. In Ability based decks (such as a future Malamar Psychic deck), Lunala could be used as an acceleration option when under Ability lock. Its Psystorm attack can be very powerful and take OHKO’s, but it’s going to be very difficult to setup and would almost only be setup in an acceleration deck. You could set it up with Full Moon Star, but I think it will typically be better to set up some benched Pokemon with Full Moon Star, as if your opponent has the means to knock out Lunala right away, you will have wasted your attack. There could be some situations against some specific decks where it makes sense to accelerate to Lunala itself though. Dawn Wings Necrozma GX is the spiritual successor of Keldeo EX. It seems highly likely that Dawn Wings Necrozma GX will see play in a similar role to Keldeo EX where decks use it paired with Float Stone as both a switching option, but also as a way to get around Special Conditions and other effects of attacks. As an attacker, Dawn Wings Necrozma GX is pretty solid. With its Psychic specific costs though, it will only ever see play as an attacker in decks with some type of Psychic Energy acceleration. I don’t think it’s strong enough to build a strategy around as an attacker, but its attack is good enough that you will be able to attack with it in some situations effectively. Its Moon’s Eclipse GX attack is also super strong. You only can use it when you’re behind on prizes, but that’s a worthy restriction to work around for how strong the attack is. At 180 damage, you can OHKO a lot of Pokemon with a Choice Band, and then it prevents all effects of attacks including damage during your opponent’s next turn. This means that if your opponent doesn’t have a Guzma, some other gust effect, Pokemon Ranger, a snipe attack, or some type of Shred attack, they won’t be able to attack for a knockout during your turn, which could allow a deck playing this to make some comebacks in the prize trade. Rampardos is a very Energy efficient attacker. Against evolved Pokemon it can hit for 120 damage for a single Energy which is very efficient. It can further boost that damage output with Choice Band and Fighting specific damage modifiers such as Strong Energy, Regirock EX, and Diancie Prism Start from SM6. Wild Crash also would allow it to knockout any Basic Pokemon as the effect of its attack. At three Energy it will be somewhat difficult to actually set that up, however, but Counter Energy does help some. Ultimately, I think Rampardos is too underpowered to succeed as a main attacker, and there if you’re going to go through the effort to setup a Stage 2, there is better stuff to play. Lucario is only going to be useful in the context of a Garchomp deck as the only good reason to play the card is for its Precognitive Aura Ability, which is essentially a Computer Search that you can use every turn that you don’t have to discard for when you have Garchomp in play. Being able to search your deck for any card you want like this is super powerful and should make Garchomp one of the most consistent decks at executing its strategy once it sets up. Even better, you can get multiple Lucario setup in the same turn and start searching your deck for multiple cards. The biggest downside to Lucario is that its Ability doesn’t start working until a Garchomp is in play, but once a Garchomp is in play any deck running Garchomp with a Lucario engine should run pretty smoothly after that thanks to the precision that Lucario would give you in executing your strategy. This is a card that has been overlooked, but I think it has pretty solid potential in both Buzzwole/Lycanroc GX decks as a non-GX attacker and also in Zoroark GX/Lycanroc GX decks as another attacking option. It’s fairly situational, but being able to hit for 180 damage (210 with Choice Band) with a non-GX Pokemon is super powerful and can swing games. I think it might actually be stronger in Zoroark GX/Lycanroc GX because you play Double Colorless Energy. If you have an Energy in play, you would be able to power it up in one turn with Multi Switch, and with Zoroark GX’s Trade you should be able to work your deck down to 3 or fewer cards pretty easily. I think Pokemon made this Passimian in an attempt to add something to the Team Play Passimian archetype to try to give it a little more competitive strength. It’s very difficult to tell if this actually moves the needle much for that deck though. In its current state, Passimian was maxing out at 100 damage (130 with Choice Band). If you have one of these on your bench, you get up to 130 damage (160), and with two, you get up to 160 damage (190), which is around the numbers you are going to want for Passimian to be an effective deck. As the deck always wants to keep four Passimian in play, using Rescue Stretcher to do it, streaming Team Play shouldn’t be an issue. The deck will lose a little early game consistency if you go with a 2/2 split as you would start a Team Play in the the active position much less often than you do now. I think the deck still falls short of the damage numbers it needs to be truly viable, but I think this Passimian definitely inches it closer to becoming a viable archetype, but I think it still needs more than this. Pokemon is setting up Weavile as a real Ability hater. First, Weavile BUS does 60 damage to all Pokemon with Abilities and now this one does 50 damage for each of the opponent’s Pokemon with Abilities. I think Evil Admonition is a little underpowered and too situational. If a player is playing against a known Weavile deck, they will probably show restraint with benching Pokemon with Abilities, which makes this too easy to play around. If a deck can limit itself to having only three Ability Pokemon in play or less, then Weavile is probably taking 2HKO’s on most of its GX Pokemon, at which point it isn’t creating a favorable prize trade. A lot of decks can function by just having 1-2 Ability Pokemon in play, and some decks don’t even really use Abilities, so those ones can completely play around Weavile. I think the damage output is just a little too low (60x and I think it’s probably good) and too easy to play around for this to be a significant card. I do think it could be an anti-meta surprise tech as like a 2-2 line in something in certain meta games, but I think it will be limited to being a meta call than anything that is a lasting pillar of a format. Darkrai Prism Star has the Nightmare Star Ability, which is the same thing as Giratina Prism Star’s Ability, just for Darkness Energy. Darkrai should be a little bit better than Giratina in a meta sense because of Darkrai EX BKP existing. This Darkrai gives Darkrai EX another Energy acceleration method that can be used to boost the damage output of its Dark Pulse attack. This should be an instant inclusion in any Expanded Turbo Darkrai deck and now with Darkrai GX and Darkrai Prism Star as acceleration options, it might be worth looking at Turbo Darkrai in Standard once again. Its Abyssal Sleep attack could be used to potentially stall a turn, but its damage output is pretty lackluster otherwise and the attack is very costly. I think this will almost exclusively be played for its acceleration Ability. When seeing this card, the first thought on everyone’s mind is going to be, “Can this be the next great OHKO non-EX deck?” I’m not sure if it actually can be, but it has some decent potential to do so. For it to be effective you need to be getting 6-7 Metal Energy in your hand so that you can be doing 210-240 damage with a Choice Band to OHKO most of the GX and EX Pokemon in the game. Gold Rush having a free attack cost will certainly help in getting enough Energy into play. There is definitely plenty of recursion cards that should help in the quest for getting this Energy back. You have Energy Retrieval, Mt. Coronet, Fisherman, and Starmie EVO in the Standard format to get Energy back into the hand. I would guess in addition to these recovery cards, this deck probably wants to play around 10-12 Metal Energy so that you have enough Energy available to even get to the OHKO numbers. If the deck turns out to be a bust in Standard, I think it will definitely be worth a look in Expanded format. Colress can give it lots of resources in hand during a single turn, VS Seeker should make it easier to stream Fisherman, and Superior Energy Retrieval is simply a superior option to Energy Retrieval for getting Energy back (4 Energy for people not familiar with Superior Energy Retrieval). Even just Superior Energy Retrieval + Mt. Coronet is 180 damage worth of Energy. My first thought is that Alolan Dugtrio should be good enough to be a good deck in at least one of the two formats (it really has a ton going for it in Expanded), so I think this should be one of the meme decks that becomes a real deck. Magnezone enters the format to give us a Metal type Rain Dance Pokemon. Here’s the deal with these types of Abilities. They’re one of the best Abilities in the game, but they’re entirely reliant on there being something useful to accelerate to. For example, Emboar BLW and Blastoise BCR had good stuff to accelerate to, so they did well, while Magnezone BKT had nothing good to accelerate to so it never saw success. This Magnezone is being released alongside strong Metal attackers in Dusk Mane Necrozma GX, Solgaleo Prism Star, and Dialga GX, along with other good Metal Pokemon like Genesect EX, Celesteela GX, and Cobalion STS already in format, so this Magnezone should have plenty of Tools to work with to do well. It also gets some interesting Magnemite cards to go with also being released in this set. This Magnemite has the Solid Unit Ability which prevents damage to it when it’s on your bench. This is the same Ability that Squirtle BCR had with its Shell Shield Ability and that was always a strengthening factor for the deck. This Magnemite has the Searching Magnet attack which lets you search your deck for three Metal Energy. If you have the turn 2 Magnezone in hand, this attack can be great for gathering the Energy you need to start accelerating for your turn 2 attack. In addition to these Magnemite, there is also the Magnemite from BREAKthrough that gets free retreat when you have another Magnemite on your bench. A lot of players seem down on this Magnemite though because it can be OHKO’d by a Buzzwole GX’s Jet Punch. Magnezone as a card is very strong. The big question players are going to try to figure out is whether it’s viable to build Magnezone without Tropical Beach in the Standard format. I think players should be able to figure out a way to make it work without Tropical Beach as some of the early Blastoise lists from 2012 City Championships didn’t play Tropical Beach and there was also the later Wangstoise list that didn’t play Tropical Beach and did well. Earthen Shield could be solid if we ever devolve into a format where we have a significant portion of the meta being occupied by decks that solely run on Double Colorless Energy. I don’t think you can play it as more than a 1-0-1 tech in a Stage 2 Metal deck that already plays Rare Candy, and even then it’s going to be hard to get into play since you can’t Ultra Ball or Brigette for an Unidentified Fossil. Solgaleo Prism Star is a powerful non-GX attacker. At 160 damage with Corona Impact, it can get up to 190 damage with a Choice Band which is able to OHKO most Basic GX/EX Pokemon, although it generally falls short of a OHKO on the Stage 1 and Stage 2 GX Pokemon. Still, being able to OHKO a Tapu Lele GX, Tapu Bulu GX, or Buzzwole GX with a Basic Pokemon can be a big momentum swing in a game. You can’t attack with it during your next turn, but that can be gotten around with Guzma or retreating into some other attacker. You won’t use Radiant Star all too often, but it can be useful when you’re under Ability lock or to use to power up some attackers when you whiffed the Energy to attack on that turn. Magnezone is the spiritual successor to Blastoise and Dusk Mane Necrozma GX is the spiritual successor to Black Ballista Black Kyurem EX. Its Meteor Tempest attack at 220 damage is one of the strongest attacks in the game and with Choice Band it OHKO’s everything relevant in the game, save for some Fighting Fury Belt or Bodybuilding Dumbbells shenanigans. Unlike past big hitters like Black Kyurem EX, Rayquaza EX, or Tyrantrum EX, Dusk Mane Necrozma GX only takes one type of Energy, which should make it easier to build a consistent list around it. Sun’s Eclipse GX is also an excellent GX attack. As you will be playing a setup deck around Dusk Mane Necrozma GX, you will typically fall behind a prize early, so you should be able to get around the restriction for Sun’s Eclipse GX fairly easily. Then after you use it you will only have to attach one more Energy to be able to use Meteor Tempest during your next turn. Claw Slash is solid and can be used to knockout pre-evolution Pokemon in the early game. In addition to Magnezone, I would expect players to also try Dusk Mane Necrozma GX with Bronzong PHF in Expanded. Magearna should be worth a look for anything that likes to use Tool cards and has a free bench slot available. Being able to take Tool cards off of Pokemon can be very powerful and allows you to get a more efficient use out of your Tool cards, move Tools to a Pokemon where they would be more effective, or to switch up your Tool strategy for a Pokemon completely. As far as meta specific stuff, I think this could possibly help reinvigorate Mega Pokemon decks a little bit. Magearna would allow you to use Spirit Links to evolve and then transition into some other Tool card. Giving Mega Pokemon access to something like Choice Band while not having to give up your turn to evolve could unlock some important damage numbers for them. It would also let you re-use the same Spirit Link on multiple Pokemon. I think that it also has solid potential in a Silvally GX deck, allowing it to switch between something like Choice Band and its various Memory cards. I’ve never liked this Ability, especially in the context of the past few years worth of formats. Most games are too few turns for an Ability like this to start seeing value. With games ending in so few turns, it’s generally better to invest your search cards to get out what you want instead of using them to get out Shiinotic to search out what you want later on. The long awaited Tapu Lele is here….and it’s a Fairy type alternate, with the Psychic version that was very hyped for Trevenant decks in Expanded yet to be released. Psywave is a solid attack for setting up damage or finishing something off, and it even may be able to sneak a OHKO on a Dragon Pokemon. Magical Swap is the main attraction for Tapu Lele’s hype. This could be used in a few ways in the current Standard format. The first is to move damage around in a Tapu Koko/Necrozma GX spread deck. The other way is to move damage around in a Gardevoir GX/Max Potion deck after you hit a bunch of stuff short of OHKO’s. I think this card is a little bit weaker than people expect. The spread decks, from the games I’ve played, tend not to do significant enough damage for Magical Swap to work as you would want, and even when they do, counter play, such as Parallel City and Max Potion makes it very difficult to get the strategy to work. Maybe it works better with the Psychic one in Trevenant decks since that deck is Item locking the opponent, but in non-lock spread decks I haven’t found the card to be very effective. I really like the potential of Garchomp. Being able to do 200 damage with a non-GX is very powerful and with the Lucario pairing it has the potential to be very consistent in getting setup. Using Cynthia as your Supporter for turn isn’t a bad effect trigger as Cynthia is a pretty solid Supporter card. The only downside to this is that you can’t Guzma and get the damage boost, but this can be played around by playing Counter Catcher and/or Pokemon Catcher for your gust effects. It shouldn’t be too difficult to stream Cynthia thanks to Lucario being able to search it out for you and Pal Pad being in format to put it back into your deck. The big issue for Garchomp is going to be how do you get that second Energy attachment on it. I don’t think I’ve really seen a good answer to this. In Standard format, just using Max Elixir to try to get Energy onto them when they’re Gible may actually be the best option for the deck, but that doesn’t seem great. In Expanded you have some better options for powering it up. You can play something like Reshiram or Bronzong to accelerate Energy and then attach a Double Dragon Energy to finish powering it up. Dialga GX will be a solid inclusion in any Magnezone or Metagross GX deck. It has three solid attacks for any Metal deck with acceleration. Overclock can be used to help you get your deck setup in the early game. You can play down your hand during the setup phase and then use Overclock to refill your hand. Overclock is kind of like a poor man’s version of Tropical Beach. Shred isn’t something to be used too often, but it can damage a Hoopa for you (granted Magnezone and Solgaleo Prism Star can do that for you as well) and it can OHKO pre-evolution Pokemon. However, the main reason to play Dialga GX is for its Timeless GX attack, which gives you another turn immediately after you attack with it. 5 Energy is a lot, but with Magnezone it’s perfectly reasonable to power it up in a single turn. Getting an extra turn immediately after you attack is a huge momentum swing in a game. The attack isn’t always the easiest to use to create this momentum swing, however. You typically will need to find a Choice Band to get a OHKO on something, and against bulkier stuff it won’t even OHKO. In these situations, it’s not necessarily bad to use it. Against bulkier GX’s you can use Timeless GX to get a 2HKO using Shred for the 2nd attack, or you can use it to knock out a pair of non-GX Pokemon. This won’t jump you ahead in the prize trade, but it will maintain your position in it for you. Dialga GX is super situational, but it breaks the game by giving you an extra turn before your opponent’s, and with that it has the potential to be a huge momentum changer in games. Palkia GX on the other hand isn’t quite as game breaking. Hydro Pressure is similar to Keldeo EX’s Secret Sword, being just +10 stronger. Spatial Control can be used to setup Palkia GX by using Aqua Patch to benched Water Pokemon and then moving the Energy up to it, but that seems like a risky setup strategy since it can just get knocked out and then your Energy disappears along with it. Zero Vanish GX is a neat GX attack, but most decks don’t play with a lot of Energy on the field all at once. It’s very situational, but it would obviously be insanely good against a Turbo Darkrai deck and could even be effective against something like Buzzwole GX/Lycanroc GX that needs multiple Energy to unlock its bigger damage numbers. With both of its damaging attacks being so costly, it almost has to be played alongside Energy acceleration, and in Standard it isn’t compatible with Aqua Patch, the primary Water acceleration. There is that Abomasnow, but I don’t see a Palkia GX/Abomasnow deck actually being better than so many other things. In Expanded it could be played with Blastoise BCR, but I think there are better attackers to pair with Blastoise in that format. This is the last of these bad Rotom cards in this set. It has the same 20 spread attack as Tapu Koko SM30. Just playing Tapu Koko SM30 and Double Colorless Energy seems like a much better option than playing Fan Rotom and a bunch of Tool cards to me. Shaymin gives a generic Call for Family Pokemon that could be played as a setup Pokemon in future formats. It’s been so long since a Call for Family Pokemon was consistently used in a format (Emolga DRX seems like the last one), that I don’t think this ends up seeing play, but this attack has been used in some past formats, so we could see players turning to this as a setup attack in a future format if nothing better is printed. Oranguru’s Resource Management is a pretty powerful recovery attack. It’s able to get any three cards back into the deck. With the Looker Supporter, we have access to the bottom three cards of our deck and there also is the option of burning your deck down to three cards so you can draw out your deck consistently with something like Oranguru SUM or Octillery BKT. I think this is weaker than Sableye DEX’s Junk Hunt, even though that only recovered Item cards, as Sableye gave you instant access to the cards you recovered and Puzzle of Time already allowed Sableye to effectively recover anything. With that said, Oranguru does have some strengths of it own going for it. Oranguru at 120 HP has more HP than past recovery Pokemon like Sableye and Bunnelby, making it more likely to survive some hits from the opponent. It also has an attack with solid damage output, so in an Oranguru disruption deck, you can actually transition to using Oranguru as an attacker to close out a game instead of needing to rely on something like deckout to win. I’ll be interested to see how this card ends up doing. There’s probably too much Energy acceleration being played right now for it to be built into an effective setup deck, but if we move away from Energy acceleration decks, I could easily see a format developing where the deck continuously loops something like double Crushing Hammer / Team Flare Grunt or something of that nature to shut down the opponent fully. Cynthia is a reprint of the Heart Gold Soul Silver era Supporter card, Professor Oak’s New Theory. During the HGSS-on formats Professor Oak’s New Theory, also known as PONT, was a staple Supporter card that was typically played in 3-4 counts in most players’ decks. It generally saw around the same amount of play as N did when they were both legal, with only Professor Juniper seeing more play. I think it slots right back into the format as a 3 or 4 of in the majority of decks right upon release. The current Supporter pool is very similar to the HGSS-on formats so it makes sense for similar Supporter lines to see play. I would expect something like 4 Professor Sycamore, 3 Cynthia, and 3 N to be a fairly standard Supporter template that players use in non-Zoroark GX decks. Cynthia is only +1 card advantage compared to Shauna, but that extra card does improve the probabilities in a significant way to make this see lots of play and Shauna to not see much. What Cynthia gives decks is a Supporter that is good to see at almost any point in the game if you’re looking to draw cards for that turn. N can be too weak of draw in the late game, so being able to add more Supporters that give you a greater amount of cards, especially when you are ahead, helps add some consistency to the later stages of the game. I’m not sure where Cynthia fits into the Expanded format as Colress will generally be better for most decks as most decks tend to fill up their benches pretty large. I think it will probably see play in various decks that play Battle Compressor as it gives you an alternate early game draw option that you can use when you don’t want to discard the resources in your hand, benches aren’t large enough for effective Colress, and you don’t want to refresh your opponent’s hand. For the most part, I don’t think Cyrus Prism Star will be all that disruptive in most matchups. Since your opponent gets to choose which Pokemon they want to keep in play, I think too much of the time the opponent will probably be able to play around the disruption. With that said, I think it does have the potential to have some very good matchup specific applications and could be nice if you build your deck a little more around using this as a strategy. If you pair Cyrus with some other forms of disruption, I think there is some higher potential that could be unlocked. In particular, if paired with Ability Lock or a gust effect it could be more effective than just being thoughtlessly played on its own. For example, Cyrus should be amazing against Zoroark GX decks if paired with Ability lock. You would destroy their bench and then limit their draw, limiting their ability to get re-setup against you. This may need to also be played in combo with Red Card too to strip down their hand first, as if they have a big hand from lots of Trades, then they may easily be able to re-populate their field. I think pairing it with a gust effect like Lycanroc GX’s Bloodthirsty Eyes, Pokemon Catcher, or Counter Catcher has solid potential as well. You know when you play this card that your opponent is going to protect their most important stuff, so if you target down one of those important pieces with a gust effect and knock it out, you may be able to put your opponent into a poor board state. In general, this card should hurt stuff that relies on bigger benches more so than decks that don’t play off of a large bench. This could be very disruptive against something like Turbo Darkrai by shuffling in a bunch of their Energy and undoing their setup. It can be good against Zoroark GX and M Rayquaza EX decks by undoing their bench and forcing them to get re-setup. It’s been a bit since we saw intricate setup decks, but against something like Flygon/Dusknoir/Accelgor a card like this would be devastating to their setup. We did actually have an intricate setup deck pop up this season…but Stoutland’s Sentinel Ability would prevent you from using Cyrus against that anyhow. You can only play Cyrus in combo with Metal/Water Pokemon in your deck, but that’s not that big of a deal. It adds as a type specific resource for decks built around those types. There are also Water/Metal utility Pokemon such as Octillery BKT and Magearna UPR which would be able to leverage Cyrus while in the active position. We have seen healing Supporter cards, in particular Pokemon Center Lady, see success in the past, so it stands to reason that Gardenia should see play if the right type of format develops as well as decks exist that use Grass Energy. This heals 20 more damage than Pokemon Center Lady does, so if a Grass Energy deck comes about that can shift a game by healing damage then this can see play. Such a deck would probably have to be in the Expanded format so you can pair Gardenia with VS Seeker. It’s pretty tough to play these utility Supporters in the Standard format as they’re very inconsistent. Looker is Tierno for the bottom of your deck. Tierno sees absolutely zero amount of competitive play, so Looker should be viewed as having very limited competitive potential. If you are drawing three random cards from your deck, Looker is equivalent to Tierno and Tierno just doesn’t draw enough to be effective. Looker’s viability is entirely dependent on being able to manipulate the bottom cards of your deck. We have one of these potential combos with the Oranguru from this set, which puts three cards onto the bottom of your deck. Oranguru/Looker does have some potential as a setup engine, as you can put something like Rare Candy into your bottom three cards with Oranguru and then you will know you will draw it when you play Looker. The draw 2 cards and get some effect card template is a popular one in the Sun and Moon era, and Mars is the newest of these cards. Attacks and effects that discard a random card from the opponent’s hand have traditionally been very weak, so I would expect Mars to not see any play as the effect isn’t that good and drawing only two cards isn’t very good draw. Volkner is built in a similar way to Korrina where it is an Item search card that also gets you something else. Being able to get an attachment for turn when you search your deck is very solid, so I think Volkner should see play as a Skyla replacement in decks with Basic Lightning Energy. Skyla isn’t played a ton right now, but it still sees play every now and then and has been super prevalent in some past formats, so Volkner could see a little bit of play at some point. We are getting a reprint of Magnezone BKT, so Volkner may see play in there to search out Rare Candy. In any deck that is built upon Pokemon with retreat costs of 1, Escape Board becomes a superior card to Float Stone in those decks as you get an added benefit. For most other decks, I don’t expect this card to see much play. Most good Pokemon tend to have retreat costs of 2 or 3, so when using Escape Board to retreat you would have to pay some type of Energy cost to retreat. As you would be needing to pay the retreat cost with some Energy anyhow, this card doesn’t end up doing too much. Float Stone remains a superior option for the majority of decks as it gives you unconditional free retreat. Against Special Condition decks I think just playing Switch is also probably a better option than Escape Board as you won’t have to worry about fulfilling the Energy requirements to retreat. Looker Whistle is an Item card to search out two copies of a Supporter card that probably isn’t in your deck because that Supporter card is very mediocre. Since you probably aren’t playing Looker you won’t have a need for Looker Whistle to look for Looker and even if you are playing Looker, I don’t think Looker Whistle would be played. The only situation where this card could see play is if an Oranguru/Looker setup engine is actually bananas and the way to be setting up decks, but I’m not buying stock in that setup engine. Being able to take a Prize card with an Item card is a very powerful effect…well with four Item cards that is. It’s going to be hard to play this card effectively as it’s very difficult to get four of the same card in your hand at one time. If there is ever a successful Missing Clover deck, it probably will be in some deck with Zoroark GX as that’s really the only way to build up your hand to the point where it becomes probable to have four of the same card in hand. I don’t think any deck built around repeatedly re-using Missing Clover is likely to see play. There is too much effort involved with replenishing a card that you need four of and getting them back into the hand enough times to use for the effect that I don’t think it’s realistic to actually build a deck around that. Order Pad won’t see a lot of play, but it shouldn’t be completely written off either. The effect isn’t amazing, but if a fast combo deck pops up in Standard, such a deck might not actually have a full 60 cards that it wants to utilize, so such a deck could use Order Pad to play a psuedo-56 card deck. In Expanded format, I think cards like Bicycle, Acro Bike, Trainers’ Mail, and Roller Skates would generally be better for filling out a deck than this. Pal Pad is a reprint of a card that is already legal in the Expanded format. It doesn’t see a ton of play in Expanded, but it has seen some play in mill decks such as Wailord EX and Shock Lock this season. Last time it was legal in Standard format it saw a little bit of play in decks like Yveltal EX during the 2013-2014 season. In that format, it was typically used to shuffle in some combination of Professor Sycamore, N, and Lysandre – whatever you felt you would need to finish out a game. Once VS Seeker was printed in Phantom Forces, Pal Pad stopped seeing play as VS Seeker gave you Supporter recovery, but put it right back to the hand allowing you to immediately play the Supporter you recovered from the discard pile. I don’t think Pal Pad will see play in every list in upcoming formats, but I think it will pop up pretty often in successful lists as recovering Supporter cards is good. I could see a lot of decks cutting down from 4 Guzma to 3 to make room for a Pal Pad. Out of the gate, Unidentified Fossil probably won’t see play as neither of the Fossil based Pokemon in this set are too good, but I really love the design of this card if they choose to stick with Unidentified Fossil as their fossil mechanic for the Ultra Sun & Ultra Moon sets. Whether this card see plays will be dependent on whether they print good Fossil Pokemon, but the card is well designed if they stick with it. There are a few really cool things about this card. First of all, it evolves into multiple Pokemon, so theoretically there could be a deck built around this card where you evolve into different Pokemon lines off of it all in the same deck. Even if you’re only playing a single evolution line off of it, the card does create some asymmetric information between your opponent and yourself. If we end up with multiple good Fossil decks, then your opponent might not know what deck you’re actually playing until you reveal information that tips off what you’re playing. One downside of this card is that it can’t be searched for as a Pokemon with stuff like Brigette and Ultra Ball which could lend to Fossil decks being a little inconsistent. I don’t think any of the Regirock, Regice, Registeel, or Regigigas in the format are particularly good to build a deck around so this card ends up pretty useless as a result. If it does see play, it will probably be with a Regigigas or an unreleased card. It does combo decently with the Regigigas from Phantom Forces and its Daunt attack. Combined with that it can reduce 70 damage per a turn, but it doing only 80 damage is going to be nowhere near good enough in Expanded. In Standard it can be paired with the Regigigas from Crimson Invasion. It has 180 HP, so this card will give it an effective HP of 210 which is massive for a non-EX, although its attack takes a whopping five Energy and 160 damage is awkward for that cost, and playing this card would prevent you from playing Choice Band to hit better damage numbers. There was a Regigigas mill deck that saw success in South America, so it is possible this could end up in there to make Regigigas a little more tanky, but I’m very skeptical about the general viability of that deck. If there are good Regis for this to work with, this card can be solid as similar cards like Assault Vest and Eviolite have been useful i n the past. Most likely this doesn’t see play any time soon, but if Expanded lasts long enough, eventually some good Regi it can work with might be released. With the release of Electric Memory and Fire Memory, Silvally GX gets a few more different types that it can counter. These Memory cards get even better in Silvally decks now I think with the release of Magearna in this set letting you bounce Tool cards back to your hand. Original Silvally builds typically played Genesect EX to hold a Tool to save it for discard, but Magearna lets you bounce Tools back from anything on your field, making it better for this than Genesect EX was. Having more types available just gives Silvally more things that it can be built to counter making the overall Silvally GX package even stronger moving forward. Verdict: 9.0 for the entire Silvally GX package. (Originally rated 5/5 under the old rating system). Mt. Coronet is a super powerful Stadium Card that will add great strength and consistency to various Metal strategies throughout its life. Energy Retrieval is a very strong card in its own right and being able to get that effect on a Stadium that can stay in play multiple turns is also going to be very strong. Making the card even stronger is that it immediately combos with various cards within this set. Magnezone and Dusk Mane Necrozma GX want Energy recovery and Mt. Coronet delivers that for them. Alolan Dugtrio also wants Energy recovery to the hand and Mt. Coronet provides some of the Energy recovery that needs for its attack. Super Boost Energy Prism Star has a very powerful effect, but it’s also a very situational card. The majority of Stage 2 decks don’t play with three Stage 2 cards in play at most points of the game. Even if you have that many Stage 2’s in play, you also need an attack that it’s worth playing this card for. The primary question you should be asking when thinking about including this card is how often you have three Stage 2 Pokemon in play? Decks like VikaBulu and Magnezone rarely if ever have three Stage 2 Pokemon in play so they shouldn’t include this card. In decks like Empoleon and Gardevoir GX I think it’s a solid inclusion. These types of decks would have three Stage 2’s in play some of the time to take advantage of the Super Boost part of the card effect, but even when they don’t, it still would act as a Rainbow Energy for them, which is still solid. I think Gardevoir GX is probably the best home for it upon release. It’s not too uncommon to have two Gardevoir GX and one Gallade in play which would trigger the effect. The effect also is amazing in Gardevoir as Infinite Force damage scales with each Energy you have attached, so being able to effectively add 120 damage in one attachment is super powerful and ups the power level of Gardevoir. The card is super situational, but very powerful. It will be hard to make good use out of for most Stage 2 decks, but when a deck can take advantage of it well it will be super powerful. Unit Energy provides multiple types all at once. The card is marginally better than Rainbow Energy for decks that are only utilizing these types as it doesn’t put a damage counter on your Pokemon when you attach it to them. However, the Unit Energy cards are very limited in the amount of types they cover, so there is less decks that will be able to utilize them properly, so overall these should see less play than Rainbow Energy. These cards are somewhat comparable to the Blend Energy cards, but these are a little weaker than those even as these are only three types while those had four types on them, although the type combinations are a little different between the Blend and Unit Energy cards. The Blend Energy cards don’t see a lot of play, but do pop up in some Expanded decks every now and then. Blend GRPD popped up in Golisopod GX/Garbodor decks earlier this season. With these Unit Energy being even more restrictive, I think these cards will be rare inclusions in decks, but definitely useful when a deck can take advantage of them. Same as Unit Energy GRW. 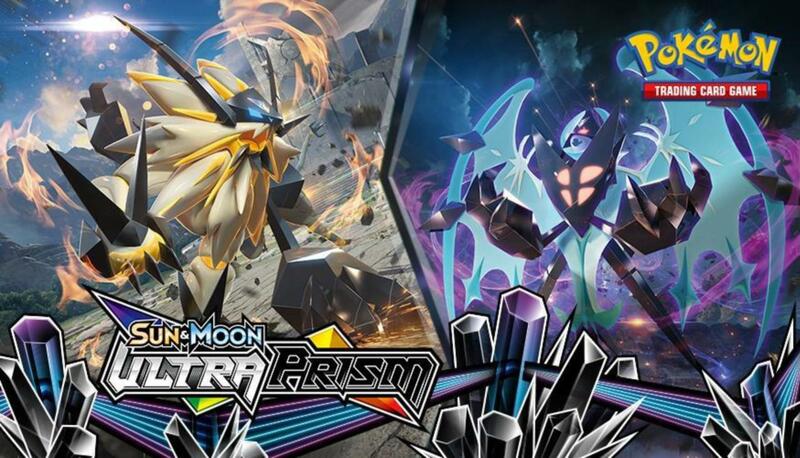 Ultra Prism is a super strong set that should shake up the meta game in a big way. It delivers with it five new archetypes for competitive play – Glaceon GX, Alolan Dugtrio, Magnezone, Garchomp/Lucario, and Empoleon. In addition to these decks, there are a few cards that might form into competitive archetypes, and then plenty of utility cards that could partner up with some existing or future cards to form even more new competitive archetypes. In addition to the new decks that will come out of the set, so many utility cards like Magerna, Super Boost Energy, Dawn Wing Necrozma GX, and more can go into decks as support Pokemon or act as tech cards. Cynthia will likely be a staple Supporter for most of its existence in the Standard format and Super Boost Energy is a card that should be impactful in both formats as long as it exists. The new set will make its debut in competitive play next weekend at the St. Louis Regional Championship in Collinsville, Illinois. I see potential donk Aloan dugtrio Cyrus turn 1. Play only trio and evos, tapu leles, coronets, Cynthia, guzma and rest energy. Tropical beach in expanded. Turn 1 Cyrus trio 1 shot. You cannot attack Turn 1, that is, the first turn of the player going first. While you can attack on Turn 2, that is, the first turn of the player going second, that will require using Wally to Evolve Alolan Diglett into Alolan Dugtrio (so no Cyrus [Prism Star]). As for doing this on your second turn, Cyrus [Prism Star] leaves your opponent with a Bench of two, so you’re still not scoring win with one attack. Another excellent set review. I absolutely love this site. Thanks for all the hard work!